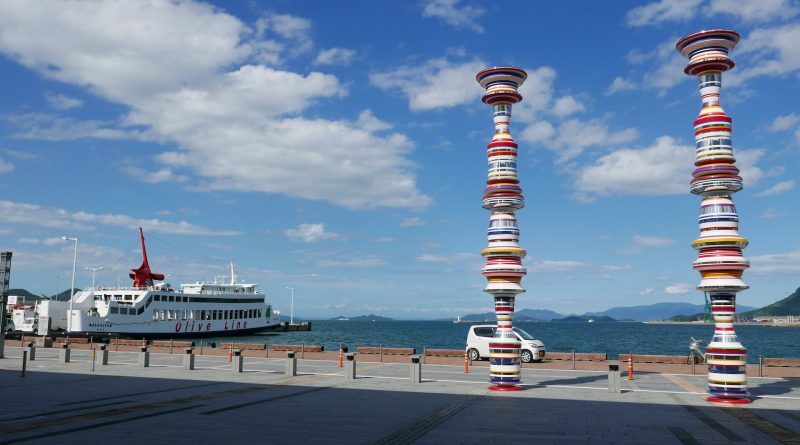 With the theme “Restoration of the Sea”, the Setouchi Triennale is held once every 3 years between the ports of Takamatsu, Uno and many small islands in the Setouchi Inland Sea, connecting contemporary art and local cultures. 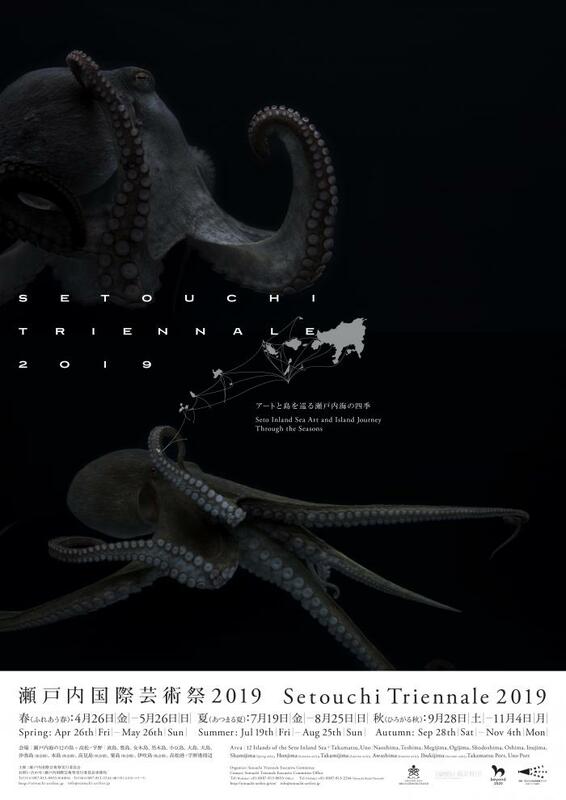 Started in 2010 the Setouchi Triennale is holding its fourth edition this year, 2019. There are seven concepts in Setouchi Triennale 2019 : “Art and architecture: explore local features” , “Folklore: local and time”, “Livelihood: the vigor of the residents (seniors living on the islands)”, “Exchange: the relationship between Japanese and foreigners in the world”, “Wisdom of the world: know your local environment, become the connecting place with the world”, “Future: for the young people and children who bear the next generation”, and “Creating connection: the activity all year”. •“Setouchi Resources x Artists”: Artists will exercise creative ingenuity to ensure that visitors fully experience and enjoy the special products of the Setouchi region. •“Setouchi Islands x Asia”: The project invites artists from different Asian countries to create works on the islands of Setouchi. •“Island Food x Artists”: This project encourages artists to identify traditional foods from each island and add a contemporary twist. The dishes they create will let visitors experience the history and character of the islands. •“Multi-faceted Theater & Dance”: The ratio of theater, dance and other performances in the Triennale program is increasing. New projects are also planned for 2019, including Dutch artist Christiaan Bastiaans who built an installation work named “Precious Luggage” and whose theme is the Leprosy hospital in Oshima. The world-renowned actresses Liv Ullmann and Shizuka Ishibashi performances are also scheduled. Additionally, an acapella choir named “Vocal Asia” of several hundred members, mainly from Taiwan, will perform on various islands. •Connecting people and area: The collaboration between artists and architects connect local and residents through art. The Setouchi Triennale fourth edition main visual designed by Japanese well-known graphic-designer Kenya Hara is quite different to the past ones with natural and fresh color images. 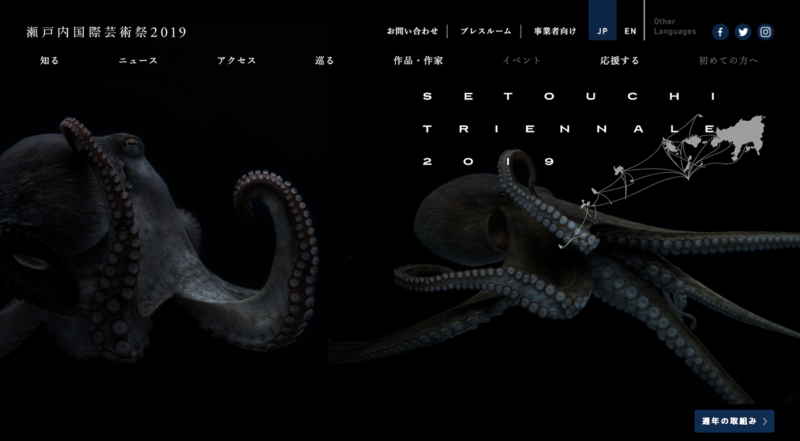 By using ocean creatures as his theme, awful octopus, bream and eel can be recognized on the black poster. Breaking the image of Setouchi, this dark representation shows an unknown world under the calm and silent Setouchi Inland Sea, hoping to bring some feelings like “?” “!” to the audience. There are 2 kinds of Triennale Passports. The “3 Season Passport” offers entrance to visit once each facility of Setouchi Triennale and art works. However, the admission fees to Chichu Art Museum, Teshima Art Museum and some special works and events are not includes. 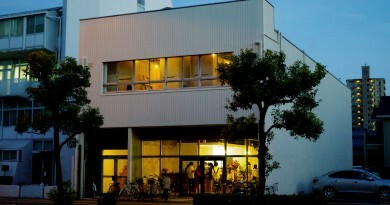 Please note that Chichu Art Museum tickets must be reserved through its official website before your visit. The “3 Season Passport” regular price is ¥4,800, special advance purchase price, before April 25, 2019 is ¥3,800. 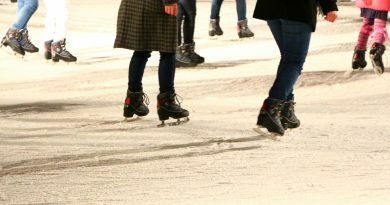 The other passport, useable only for one season spring, summer, or autumn, available is the “Seasonal Limited Passport”. This passport also costs ¥4,000, and it is sold only at festival period, no special advance purchase price offered. This passport also excludes the admission fees to Chichu Art Museum, Teshima Art Museum and special some works and events. 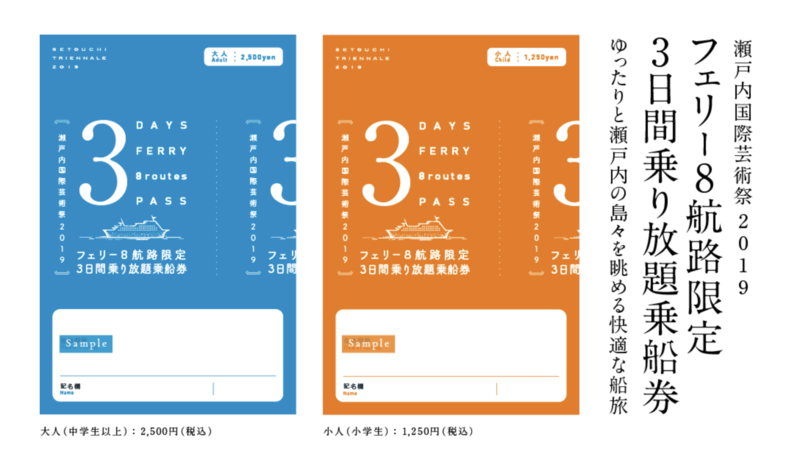 “3 Season Passport” can be bought on Setouchi Triennale official website （https://setouchi-triennale2019-jp.peatix.com）, convenience stores and ticket agencies in Japan. Foreign guests can buy the ticket online on Setouchi Triennale official website and need to exchange their e-ticket or voucher at the Port of Takamatsu General Information Center, Uno Port Information Center or one of the island information centers to get their “3 Season passport”. 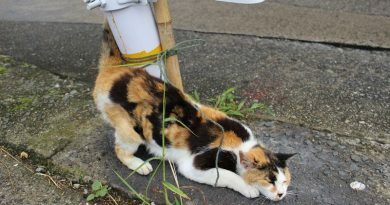 The exchange locations list can be checked on Setouchi Triennale official website. 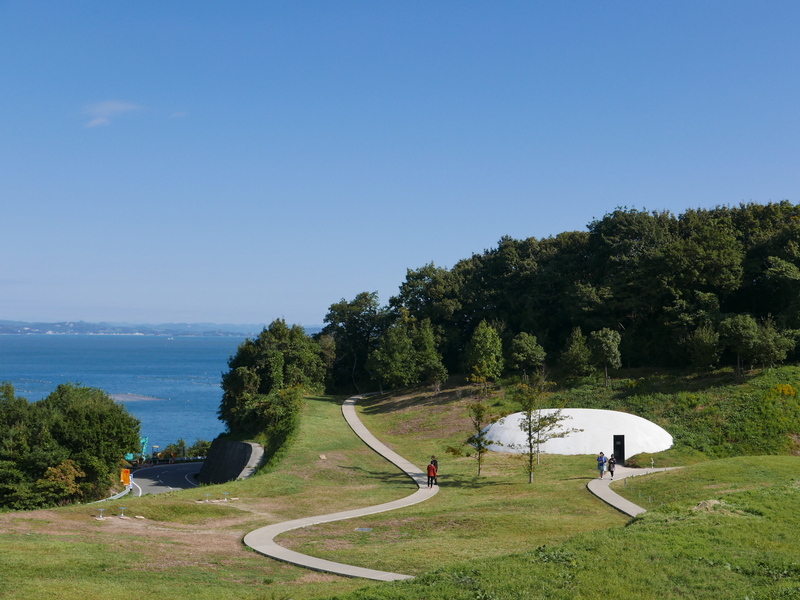 Setouchi Triennale 2019 has published “3 Days Ferry Pass”, offering unlimited ferry rides for 3 days, to the 5 islands and 8 routes connecting Takamatsu port, Uno port, Naoshima, Teshima, Megijima, Ogijima and Shodoshima. 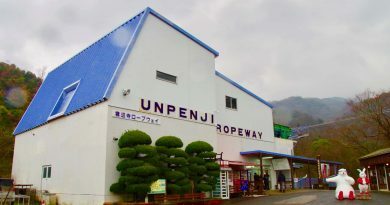 The price for adult beyond junior high-school is ¥2,500 (advance purchase price: ¥2,200) and ¥1250 for child including and under elementary school (advance purchase price: ¥1,100). Advance purchase price only available before April 25, 2019 as same as the Triennale Passports. Additionally, Setouchi Triennale starts official tours for the 2019 edition. More information of each event in the different islands will be published as the opening is approaching. 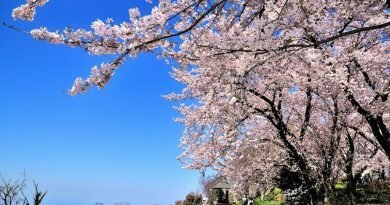 Are you ready for this trip connecting art and islands after reading this article from Life Takamatsu? Please refer to the information below to check the venue and period of Setouchi Triennale 2019 and enjoy your holidays. Naoshima, Teshima, Megijima, Ogijima, Shodoshima, Oshima, Inujima, Shamijima (Spring), Honjima (Fall), Takamishima (Fall), Awashima (Fall), Ibukijima (Fall), Takamatsu port area and Uno port area.